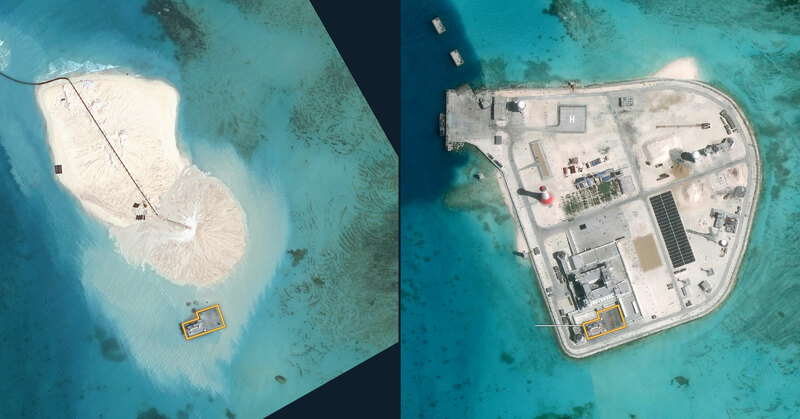 China has placed runways and radar facilities on new islets in the South China Sea, built by piling huge amounts of sand onto reefs. The construction is straining already taut geopolitical tensions. 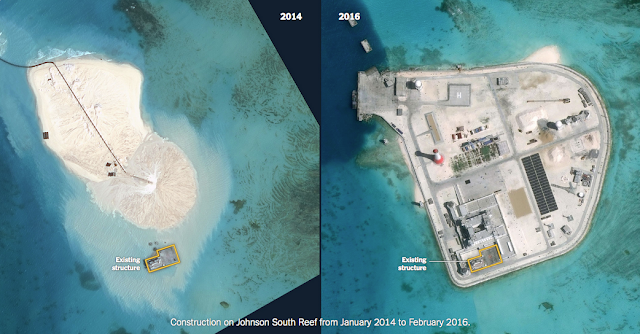 The speed and scale of China’s island-building spree in the South China Sea last year alarmed other countries with interests in the region. 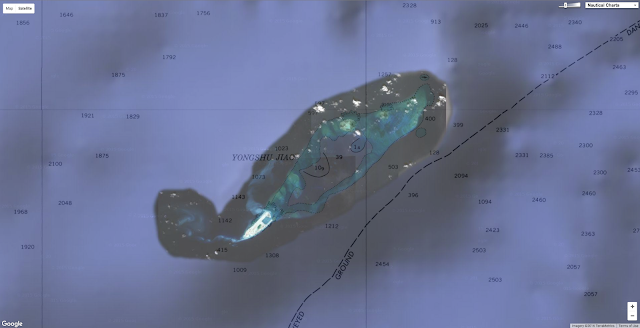 After announcing in June that the process of building seven new islands by moving sediment from the seafloor to reefs was almost done, China has focused its efforts on building ports, three airstrips, radar facilities and other military buildings on the islands. 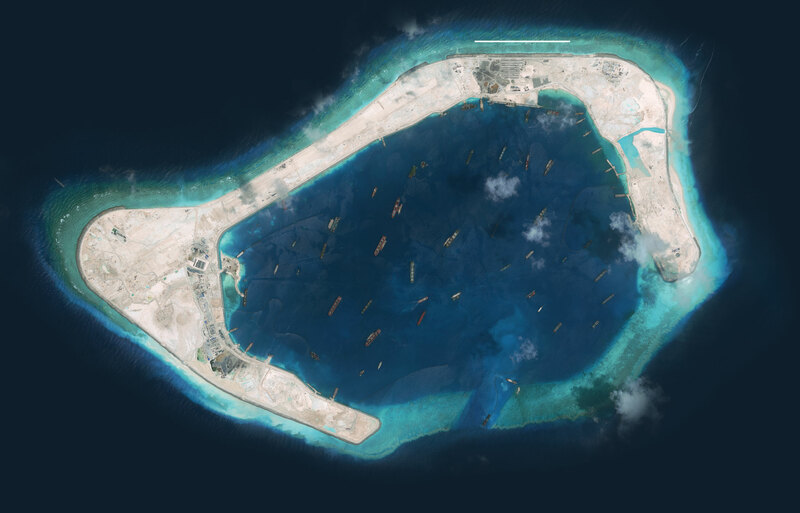 The installations bolster China’s foothold in the Spratly Islands, a disputed scattering of reefs and islands in the South China Sea more than 500 miles from the Chinese mainland. 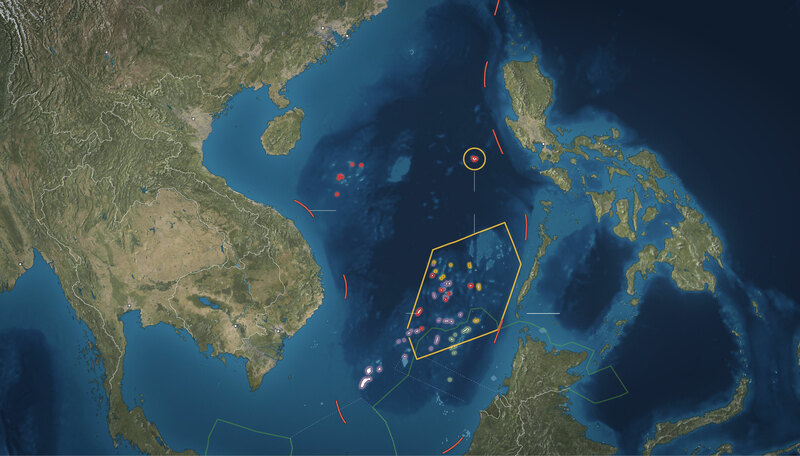 China’s activity in the Spratlys is a major point of contention between China and the United States, and has prompted the White House to send Navy destroyers to patrol near the islands twice in recent months. The new islands allow China to harness a portion of the sea for its own use that had been relatively out of reach. 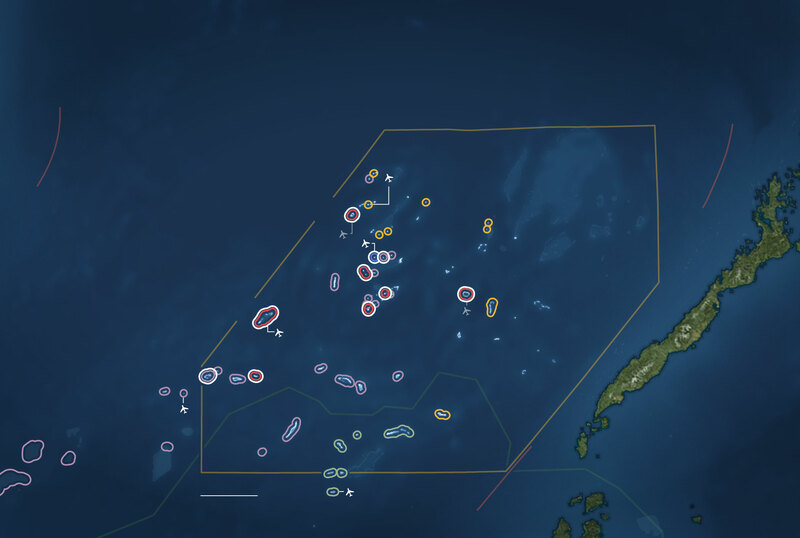 Although there are significant fisheries and possible large oil and gas reserves in the South China Sea, China’s efforts serve more to fortify its territorial claims than to help it extract natural resources, said Mira Rapp-Hooper, formerly the director of the Asia Maritime Transparency Initiative at the Center for Strategic and International Studies, a Washington research group. Though they are too small to support large military units, the islands will also enable sustained air and sea patrols, strengthening China’s influence in the area. 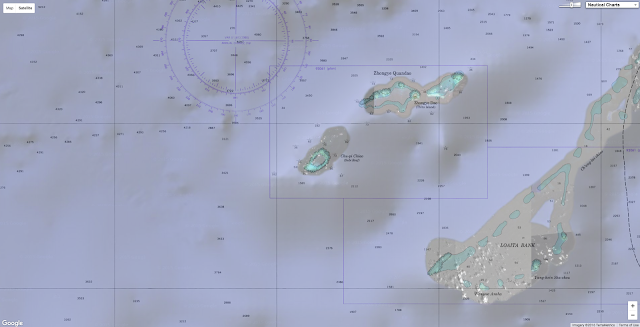 Several reefs have been destroyed outright to serve as a foundation for the new islands, and the process also causes extensive damage to the surrounding marine ecosystem. Frank Muller-Karger, professor of biological oceanography at the University of South Florida, said sediment “can wash back into the sea, forming plumes that can smother marine life and could be laced with heavy metals, oil and other chemicals from the ships and shore facilities being built.” Such plumes threaten the biologically diverse reefs throughout the Spratlys, which Dr. Muller-Karger said may have trouble surviving in sediment-laden water. 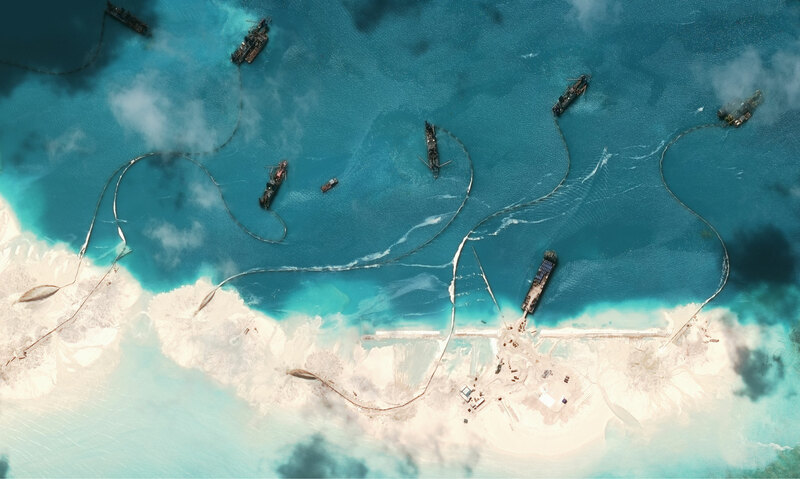 Although China was a relative latecomer to construction in the Spratly archipelago, its island building is much more extensive than similar efforts by other countries in the area. The recent activity has unsettled the United States, which has about $1.2 trillion in bilateral trade go through the South China Sea every year.Washington does not recognize China’s ownership of the islands, and in February President Obama reiterated the government's position that “the United States will continue to fly, sail and operate wherever international law allows.” To reinforce the message, the United States Navy sent missile destroyers in October and January within 12 nautical miles of the islands, the conventional limit for territorial waters. According to statements from David Shear, the top Pentagon official in charge of Asia and the Pacific, the last time before October that the United States had sent ships or aircraft that close to the islands was in 2012. 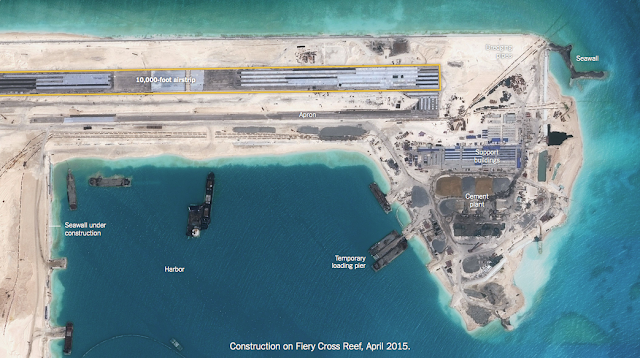 Buildings under construction at Fiery Cross Reef, September 2015. 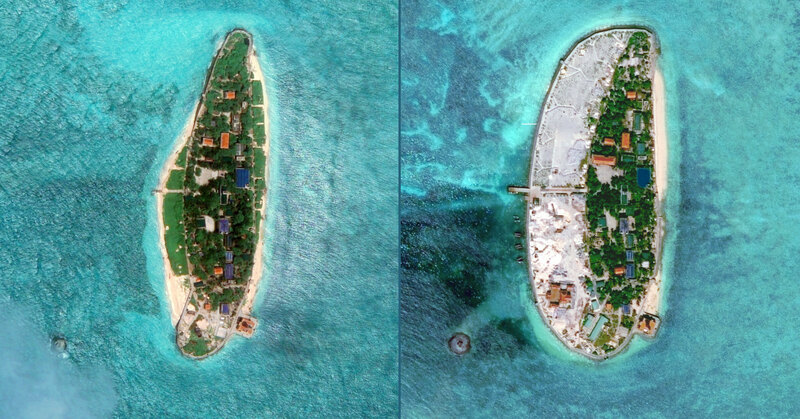 China has built airstrips, ports, radar facilities, solar arrays, lighthouses and support buildings on the islands. 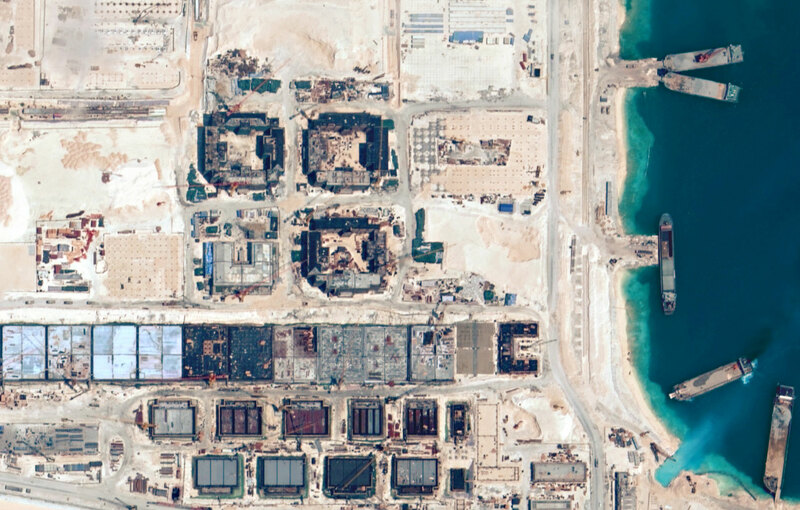 The airstrips and ports lengthen the reach of Chinese ships and planes, while the radar facilities allow the country to keep a closer eye on what is happening nearby. Imagery from January compiled for a recent report by the C.S.I.S. 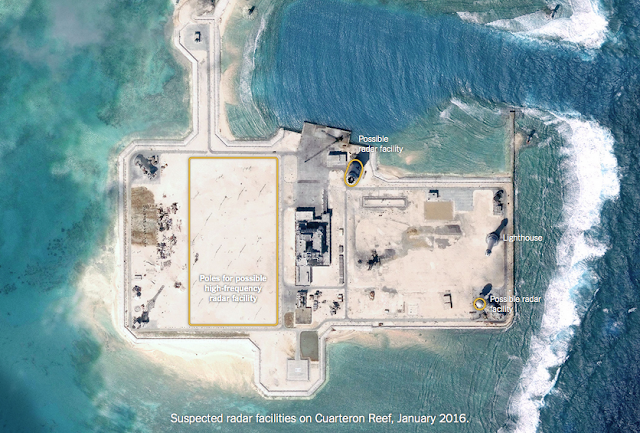 suggests that China may be constructing a longer-range high-frequency radar installation on Cuarteron Reef that would help the country monitor air and ship traffic in the south, farther from the Chinese mainland. 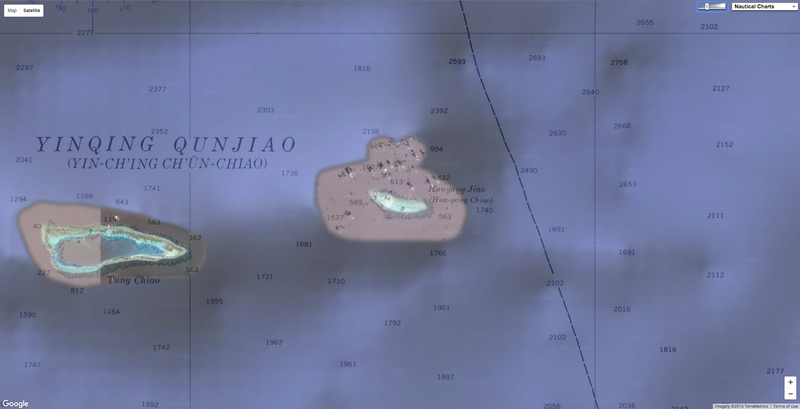 Fiery Cross Reef is one of China’s most strategically important new islands, with an airstrip that is long enough to allow the country to land any plane, from fighter jets to large transport aircraft. 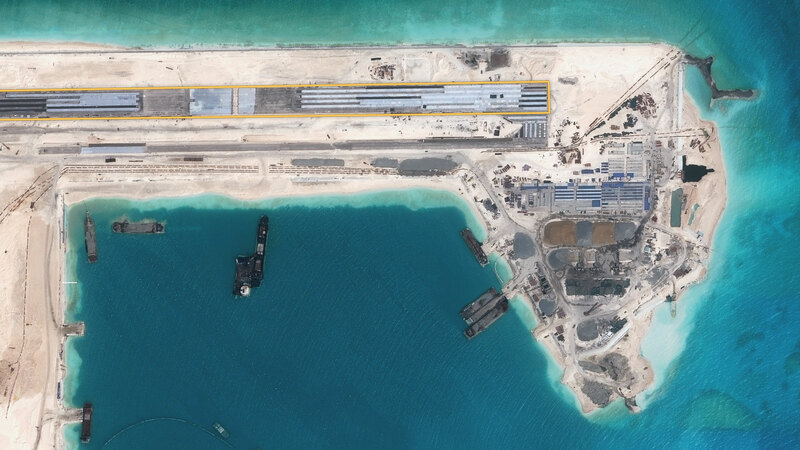 Two additional airstrips on Mischief Reef and Subi Reef that China has been building since mid-2015 are nearing completion, bringing China’s total to three airstrips in the region. Though China’s airstrips expand the country’s ability to operate in the South China Sea, they are not the first in the region — every other country that occupies the Spratlys already operates an airstrip as well. Islands and reefs that have undergone recent construction are shown with a white ring. 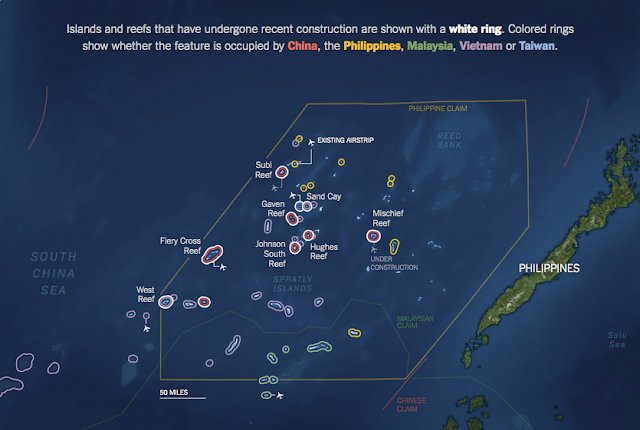 Colored rings show whether the feature is occupied by China, the Philippines, Malaysia, Vietnam or Taiwan. 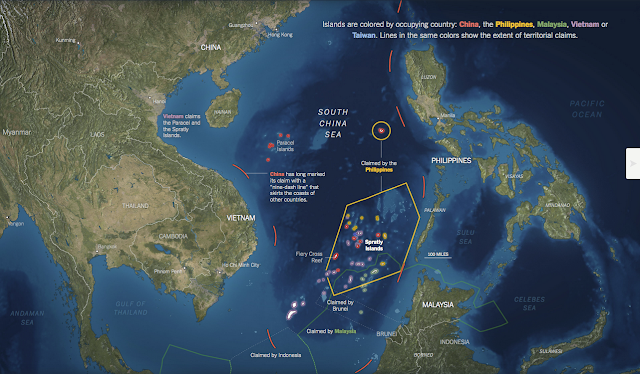 Vietnam, Malaysia, the Philippines and Taiwan have also expanded islands in the Spratlys, but at a much smaller scale than China’s efforts. China’s reefs hosted smaller structures for years before the current surge in construction. By preserving these initially isolated buildings, China can claim that it is merely expanding existing facilities, similar to what other countries have done elsewhere in the region.